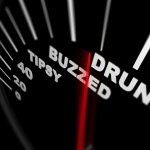 Drivers in California should know that you are not required to take a breathalyzer exam if you are being investigated or arrested for DUI. With two exceptions, never, ever blow into a breathalyzer if a police officer is investigating you for DWI. 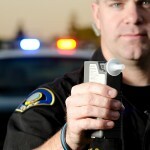 The exceptions are, first, if you are under 21, you must blow into a breath testing device if the police request it, or you could lose your license for a year; and secondly, if you are on probation for a prior DUI conviction, you also must blow into a breath testing device if a police officer requests it. Unless one of these exceptions applies to you, never blow into an alcohol breath testing device. 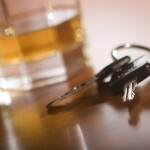 If you’re accused of DWIin southern California on the basis of a breath test or any other DUI test, get the help you need and speak at once with an experienced Orange County DUI lawyer. Another good reason to avoid a breath test: in at least one case, a man has died while taking a breath exam. A 60-year-old Athens, Georgia man died in police custody in October after he was arrested on suspicion of driving under the influence. Officers responded to reports that a vehicle had run over a stop sign and left the scene. Athens-Clarke County police arrested John E. Marsden on suspicion of DWI, and he was taken to police headquarters and given a breath test. “While taking that test, Mr. Marsden became unresponsive,” Major Mark Sizemore told the Atlanta Journal-Constitution. The incident was recorded on video and while there is no evidence of force or abuse on the part of the police, the Georgia Bureau of Investigation is looking closely at the incident. In southern California, if you are stopped for suspicion of DUI, decline the breath test – even though it probably won’t kill you – but be polite. If you are arrested for DWI, insist on a blood test and only a blood test; it’s your right to request it. Then make the call immediately and take your DUI case to an experienced Orange County DWI lawyer as quickly as possible.